Dental problems can affect the way your jaw opens and closes and can lead to pain in the jawbone, headaches, neck pain and problems with hearing. The main cause of jaw pain is a disorder of the temporomandibular joint (TMJ). The TMJ connects the lower joint to the skull and is the reason headaches are often symptomatic of dental jaw problems. TMJ disorders often cause lock jaw (tetanus), pain when yawning, headaches and tooth pain. The reason for most TMJ disorders is a problem with the dental bite. Correct alignment of the teeth in the gum is known as central occlusion. If all teeth are centrally aligned, the upper and lower jaw will meet correctly when the mouth is opened and closed. Incorrect alignment of teeth causing difficulty closing both sets of teeth together (impaired occlusion) puts pressure on the temporomandibular joint. There are many dental reasons why a patient has an impaired bite. Tooth decay, overcrowding of the jaw because of extra teeth and tooth grinding are the main factors that lead to TMJ disorders causing jaw pain. Dentists will provide treatment such as, dental fillings for tooth decay, tooth extraction or braces for overcrowding- before providing relief from the symptoms of TMJ. Surgical treatment for TMJ is required in cases of severe jaw pain. Dentists may recommend an equilibration to reshape the biting surface of teeth allowing the upper and lower jaw to close properly. 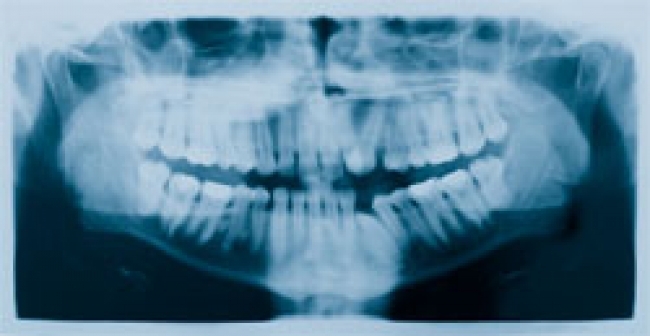 Some patients may need to undergo dental surgery to restructure the bone itself. An alternative to surgical treatment and more effective then home remedies such as the use of night-time mouth guards, is Botox to treat TMJ.